How do foundations become damaged? Foundation damage can occur for a variety of reasons, most of which have to do with the expansion or contraction of the soil around the foundation. Water or the lack thereof is one of the main culprits. In the Pacific Northwest, with our long rainy season and frequent droughts, this is especially true. Too much water from floods, improperly installed downspouts, leaky plumbing, or poor drainage can cause soil to swell up with moisture, placing additional pressure on your foundation and causing it to crack. On the other hand, soil that has been dried out by droughts, evaporation, or too many thirsty plants can contract, leaving space for your foundation to shift and, once again, crack. Large tree roots can damage your foundation by creating additional pressure or even by growing directly into cracks in your foundation. Another common cause of foundation damage is poor construction. Some foundations do not have enough steel or rebar to reinforce the concrete and can crack at weak points. If the soil around your foundation was not properly leveled and packed down prior to construction, your home may rest on uneven ground. Similarly, loose soil is more affected by changes in moisture and can easily shift around your foundation. Whatever the cause of your foundation damage, we can quickly and accurately assess whether your home needs foundation repairs. 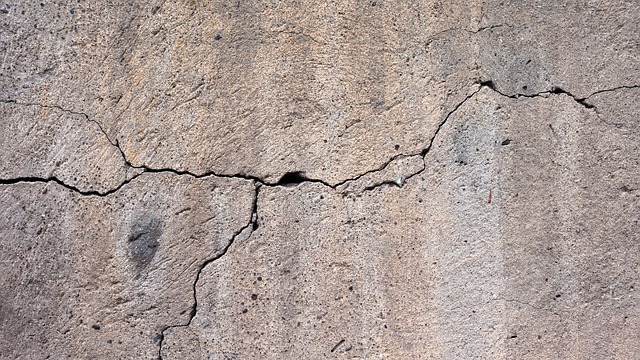 The most common sign that you may need foundation repairs is visible cracking in your foundation. Houses do settle, so some small cracks are expected. Even in these cases, however, foundation crack repair is appropriate to prevent cracks from spreading further and keep water from seeping in. In fact, any indication that parts of your house have moved beyond expected settling could be a sign that it may need foundation repairs. Cracks on your ceiling, interior walls, exterior walls, or in your basement may indicate foundation problems and could lead to water damage depending upon their location. Water damage itself is often a sign of cracks in your foundation, as is sinking or shifting soil around the base of your house. Other less obvious indicators of foundation damage are doors or windows that have become difficult to open or close, which could be the result of their frames having shifted due to foundation damage. Generally speaking, homes are built to be level, with no gaps in their joints. Sloping floors, buckled walls, and leaning chimneys are all warnings that something is not right with your foundation. Likewise, if you notice spaces in the seams around your walls, ceiling, windows, or doors, you should have your home examined by a licensed foundation repair contractor to assess whether you may need foundation repairs. Don’t wait on foundation repairs! If there are problems with your foundation, it’s important to realize that they are only going to get worse with time. Cracks expand, your house will continue to shift, and that troublesome tree root will continue to work its way through your basement wall. As foundation problems grow, so do foundation repair costs. Often, if one issue gets worse, it can compromise other parts of your foundation or house. 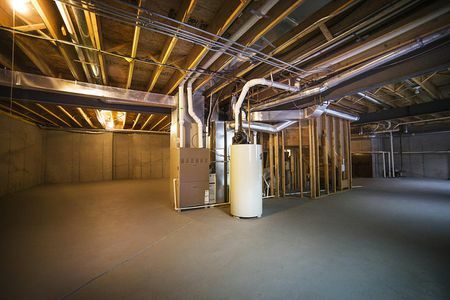 Homes in need of basement foundation repairs frequently experience water damage and mold. Severe foundation problems can lower your home’s resale value even once they’ve been repaired, which is why it’s important to address problems as soon as you notice them. Foundation repair costs vary greatly depending upon the needs of your home, from simple foundation crack repairs to large excavation projects. We assess each project on a case-by-case basis to determine the best course of action for the long-term integrity of your home. Once we’ve examined your foundations, we’ll give you a quote that covers all project costs before we start. As stated above, one of the biggest factors in determining your foundation repair costs is how early you caught the problem. Some foundation repairs are permanent, while others will need to be taken care of on a recurring basis. Projects that require excavation are typically more expensive, as are those where a damaged foundation has led to other structural problems with the house. We are committed to providing you with the best value possible, whether you need basement foundation repairs, foundation crack repairs, or a large excavation. Although the cost of foundation repairs may seem daunting, it ensures that your home will not require even more expensive repairs in the future. RMH Bartels Construction has over 15 years of experience contracting for foundation repairs, home renovations, and more. We pride ourselves on performing quality construction on every project, every time, so you never have to worry about paying for the same repairs twice. When it comes to home repair, surprises are rarely welcome, which is why we guide our customers through every step of the repair process with full transparency. We are full-service construction contractors. Not only do we perform foundation repairs and basement foundation repairs, but we also provide weatherproofing, renovation, and large construction services. If your foundation has shifted, we can take care of any additional damage to your house, large or small. As certified FAH 203k contractors, we can even work with lenders to help you finance your project. If you think your home may need foundation repairs, give us a call at (503) 896-2233 or toll-free at (800) 555-5445. We’ll come out to your house and assess whether you have any foundation damage that requires repairs, so you can have peace of mind.